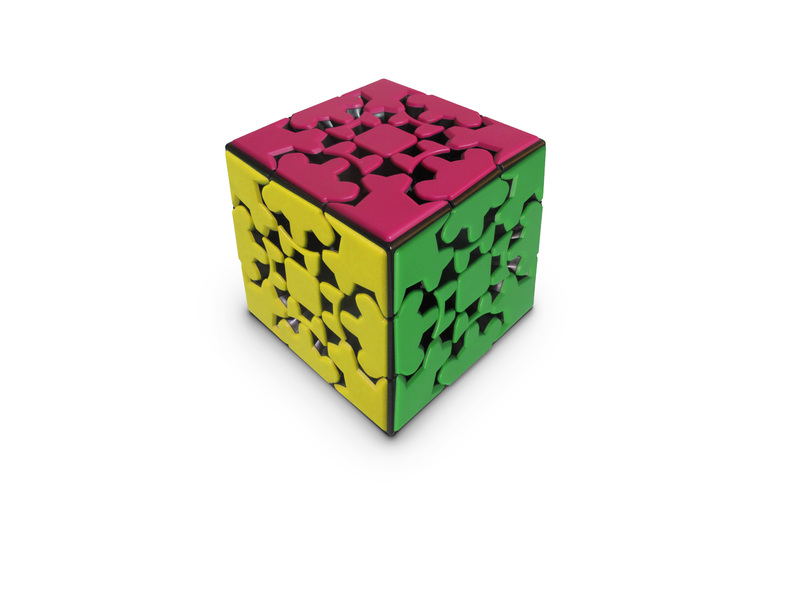 XXL Gear Cube – Recent Toys Int. 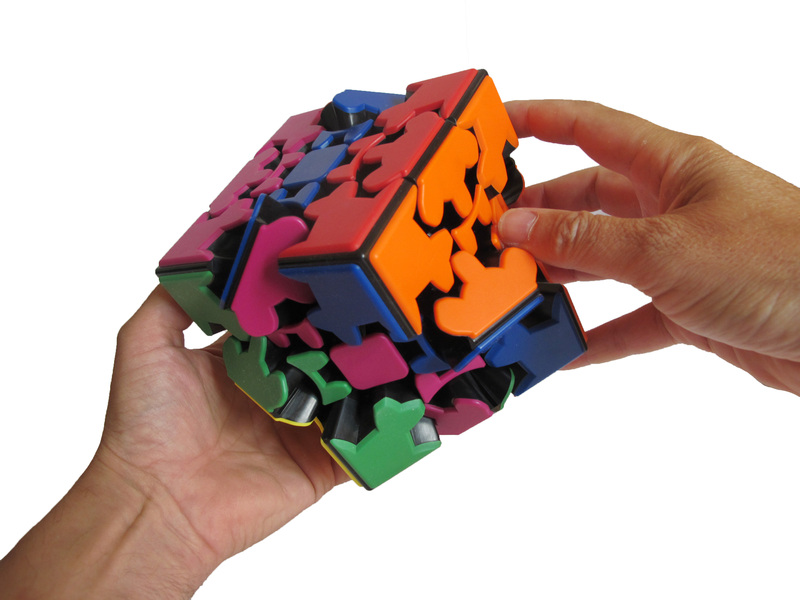 You will have your hands full trying to solve this! Try to solve the puzzle by making all six sides one solid colour each. 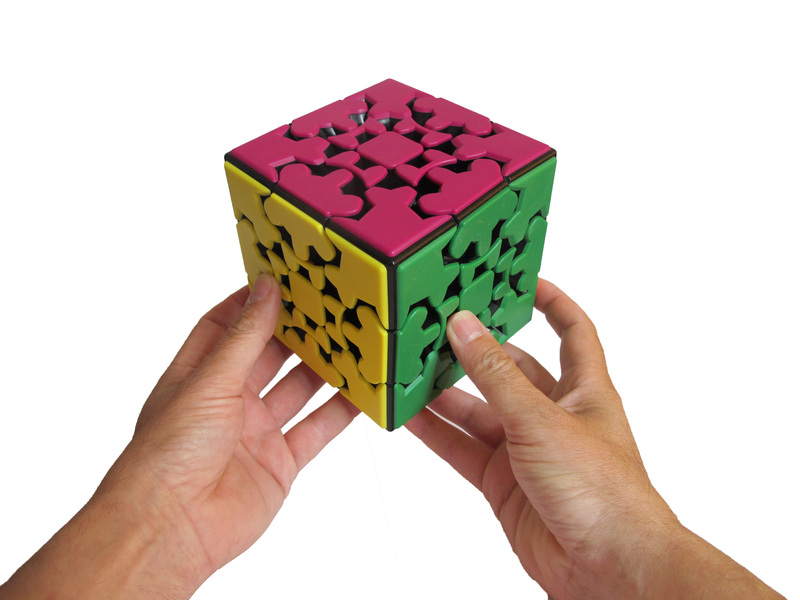 One full rotation of the cube requires twelve 90 degree turns, making this unique puzzle quite literally a handful to solve.